I am always in awe of people who have the aptitude for knitting, and infinitely grateful to any of them who put that skill at my disposal. Having another winter baby, I was determined to come up with a solution to the revolting sweaty snow suits that are available for babies while also finding a way to keep the new little cherub warm and snugly. Which looks so good I was actually wondering if she could do an adult sized one for me!! I picked up the finished suit on Monday and I’m SO in love with the finished article. 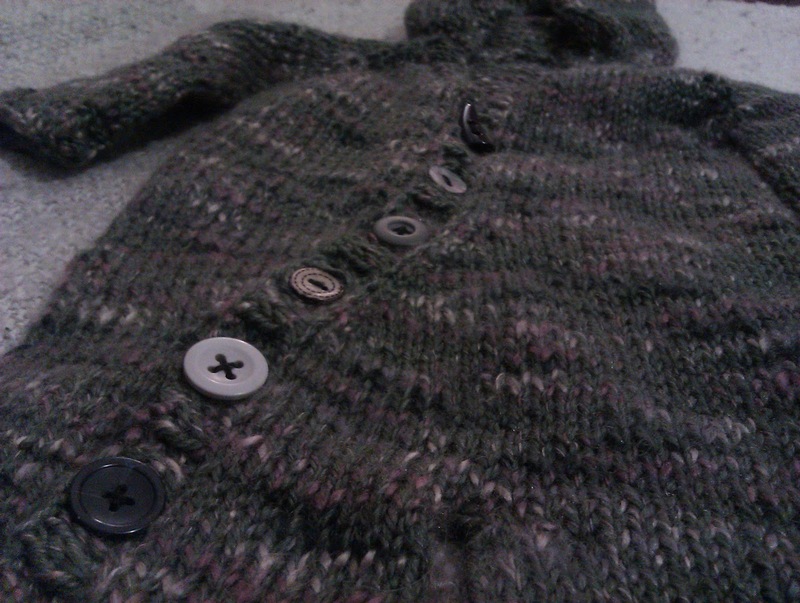 Having raided the button pot and spent last night sewing on the buttons it is now ready to go. Typical then that we’re in the middle of a mini heat wave isn’t it? Keith commented that he thinks she will look like Sack Boy from Little Big Planet which I choose to see as a good thing.